I’ll admit that I was pretty skeptical about Twitter for a long time. I had a few false starts in trying to use it, but a couple months ago I got serious about it and have discovered that it can be useful in surprising ways. It seems that a lot of bloggers have recently been coming to the same conclusion with a bunch pointing to Howard Rheingold’s post about why Twitter is useful. Russell Beattie followed it up with a post claiming that Twitter is great because there are no spammers and no trolls. Unfortunately, that’s not quite true. Over the last few weeks, I’ve been noticing more and more messages alerting me that my Twitter feed was being “followed” by some odd name I didn’t recognize. Like I do with most followers, I’d go check out their Twitter-feed, and discover that it was mostly spamming stuff. I’d also notice that they were following thousands of people with very few following them. Even better, despite having said they were “following” me, most stopped following me immediately. They only followed me to get an alert sent to me so I would check out their spammy feed. No, it’s not as bad as some other types of spam or trolling, and it can be avoided if people lock their feeds and have to approve followers, but it’s not quite correct to say there’s no spam. And, as Twitter gets more popular, don’t be surprised to see them come up with even more spamming and trolling methods. Ok, I’ll admit that I was a bit unsure of the actual usefulness of Twitter, but a couple months ago I figured I’d give it another shot, and it’s been growing on me. The first thing about it that struck me was how incredible it was to follow the Iowa caucuses via Twitter. People who were actually taking part in the caucuses were reporting in real-time on what was being said in the caucuses, and it made it clear that there was a real groundswell of support for Obama. What was most amazing was contrasting that to CNN, which reported a statistical dead heat between the three leading candidates quite late into the night, before Obama’s sizable lead emerged. Yet, watching the real-time reports via Twitter, it seemed clear that there was strong Obama support. That’s only one data point, but it was kind of neat. Now, a second useful Twitter example. I’m not sure how long ago, but a while back I became an email acquaintance with Whitney McNamara. I’m not sure when/how it happened. I think he may have commented on Techdirt a few times with pretty intelligent thoughts, or maybe sent in some stories/feedback. Just a couple weeks ago, he started following me on Twitter, and I started following him as well. Last week, he mentioned that he was going to Mamoun’s Falafel for lunch with his Dad, which set off a wave of nostalgia for me. I love Mamoun’s. Back in high school, Yuval and I used to go visit record stores in the Village and get Mamoun’s for lunch. It was a pretty regular ritual. I do still try to go to Mamoun’s whenever I’m in Manhattan, though it’s increasingly rare that I need to be anywhere near the Village. Yet, when I saw Whit’s Twitter about Mamoun’s, I wrote my own about my Mamoun’s obsession, noting that I was hoping to go this week, since I was in NYC. A few twitters/direct messages back and forth, and yesterday, we were sitting in Mamoun’s enjoying the best falafel sandwiches money can buy and having an interesting conversation about online communities. It worked out perfectly, as I had a hole in my schedule and no lunch plans. Here’s his version of the story as well. It’s pretty clear that this never would have happened without Twitter. Without Twitter, I probably wouldn’t have remembered that he was in NY, thought to get together with him, known that he liked Mamoun’s (or even convinced myself to make a trip down to Mamoun’s). So, while I’m still not totally convinced that Twitter is as amazing as some make it out to be, I’m beginning to understand the areas where it has potential. 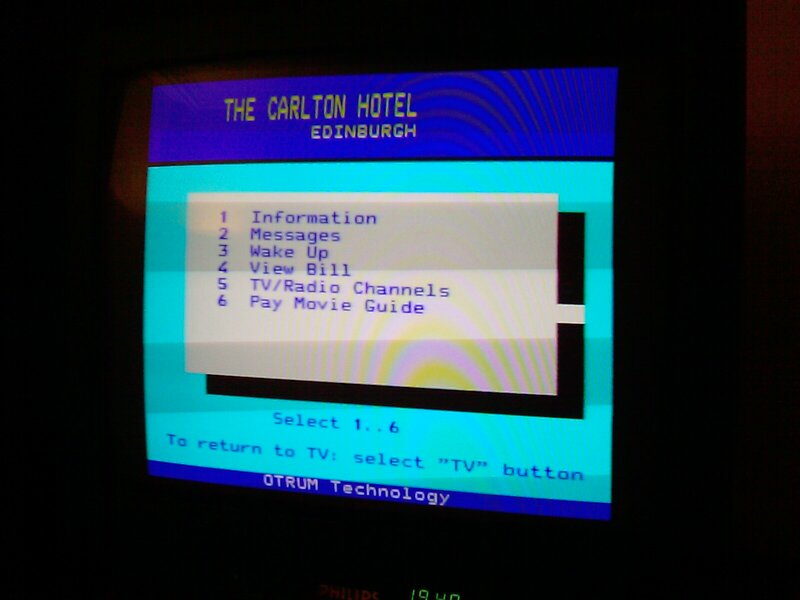 TVs With Interactive DOS Applications? 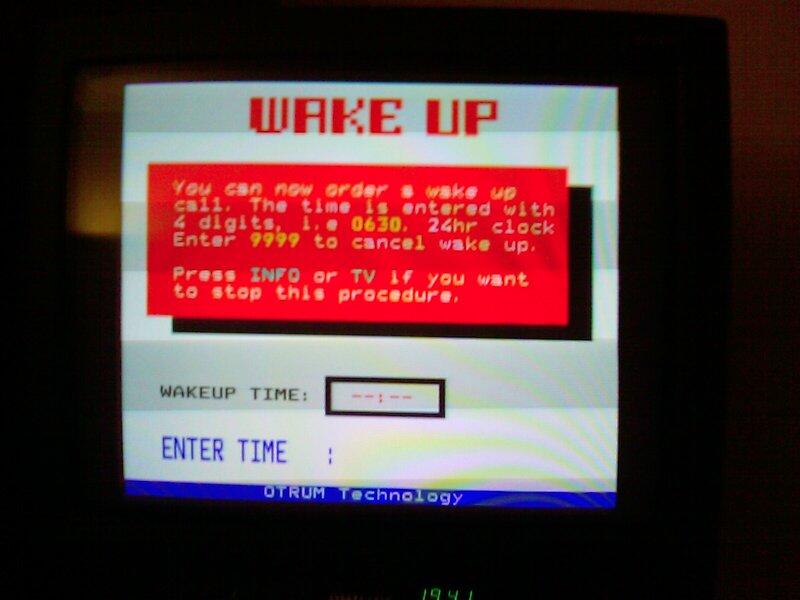 For whatever it’s worth, the wake up system actually works quite well. It turns on the TV and very, very gradually turns up the volume. It has helped me gradually wake up each day without any kind of shock to the system. I’m actually now thinking that something like this would be a lot nicer at home than the standard super-annoying alarm clock I use. DOS or no DOS, it’s pretty slick. Two months ago, I got a new laptop. It’s a Lenovo Thinkpad z61t. I actually ordered a t61, but I accidentally got the z61 instead — and, I actually really like it. It’s quite similar to the t61, but a little smaller and lighter. I was worried that the smaller part would be a problem, but I’ve gotten used to it. I really like the fact that it’s much lighter than my old t42. It just makes it seem so much more usable on the go. Lugging out the t42 was always a chore. Anyway, I was at the Office 2.0 conference today, where I was giving a little presentation on the Techdirt Insight Community, and about an hour before the presentation, I went to find a quiet place to practice the presentation… and discovered that my brand new laptop wouldn’t work. I knew something was wrong when the “sleep” light wasn’t lit. I started to get worried when I plugged in the laptop and the battery light didn’t light up. Then I noticed that even though the machine had been asleep, it was really really hot. Pushing the power button did nothing. No lights were on and nothing seemed to get them to turn on. I pulled out the battery and put it back in and that did nothing as well. So I called up IBM support and explained the situation. The guy on the other end then let me in on the secret power button code to revive your dead Thinkpad. After assessing the situation (totally dead laptop) he warned me: “Okay, this is going to sound totally bizarre, but I want you to give this a try…” He then had me unplug the AC adapter and take out the battery. Then, you push the power button 10 times in a row at one second intervals. Next, you push and hold the power button for 30 seconds. Then you put the battery back in and push the power button… and she lives. The computer came back, good as ever. So, if you happen to have a Thinkpad that suddenly drops completely dead for no reason, try the power button trick. I’ve already written about the ridiculous hoops Microsoft’s mobile operating system has made me jump through, but things only got worse tonight. I had actually reached an uneasy truce with the software, had set it up to my liking, and just about everything was working great. I’d even gone out and tried purchasing a couple of time waster games from Handango (gotta have something to play on long flights). There were just two small things. The first is that Windows Mobile got caught by the Daylight Savings bug, so that every time I tried to sync it with my computer, it went back to being an hour behind schedule. I looked up how to fix it, but it required upgrading the syncing software to ActiveSync 4.5 rather than 4.0. There were some horror stories about that so I figured I’d survive for a few weeks with the clock being an hour off. The other thing was that, as a few people had suggested, it’s not all that easy to scroll through your address book to make calls — especially when driving. So I figured I’d bite the bullet and get some voice recognition software. I bought one at Handango for $6… but it wouldn’t install. Every time I tried, it would cancel itself in the middle with no explanation. Over to the manufacturer’s website, and they note that I have the wrong version of Windows Mobile, but Sprint has an easy download upgrade package. Ah, great. And it’s just a minor upgrade 5.1.170 to 5.1.195. How much could possibly go wrong (hint: foreshadowing). Well, that’s just wrong. Not only was most of the software designed to work with my mobile device IT WAS WORKING with my mobile device until you pushed me to upgrade. The software files are still listed in the ActiveSync directory on my computer, but ActiveSync itself insists they don’t exist. On the plus side, the new versions of these software (a) have a built in voice dialing ($6 wasted apparently) and (b) no longer requires me to sync my email (which I never wanted to do in the first place). But, I’d rather just have kept my programs working (crazy as that may sound). Hell, even just being able to reinstall them would be nice.